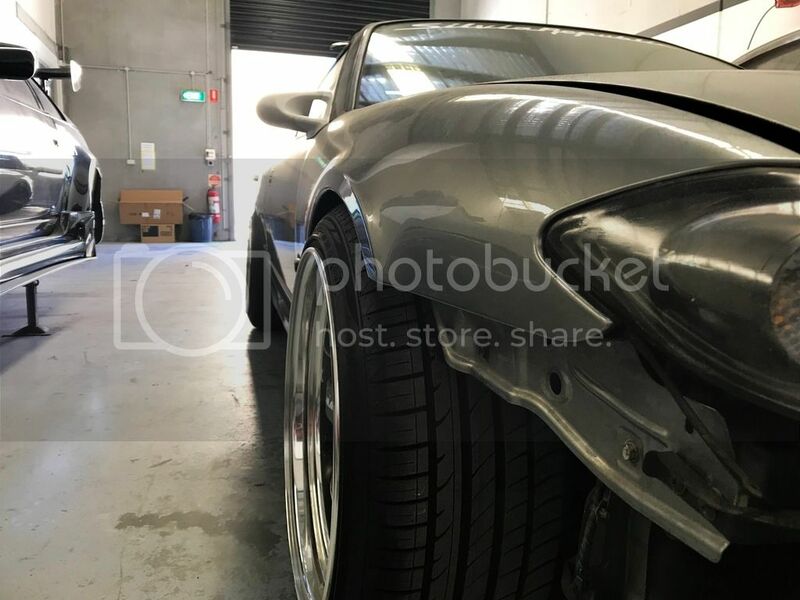 Yo, seen a lot of people been doing a build thread and was always keen to post my mods and just update people on my build. So here it is. 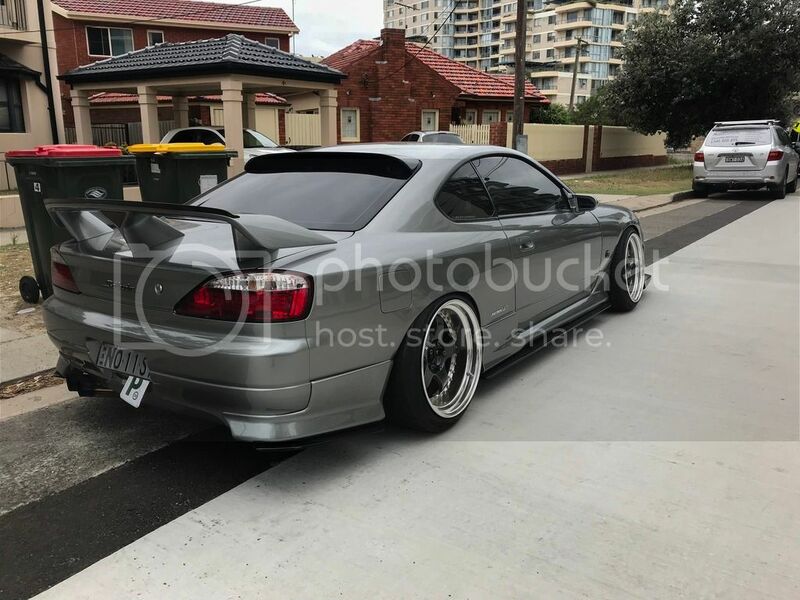 This is my 2001, 200sx S15. Yes its an ADM model because of the P-plate rules but what can you do. 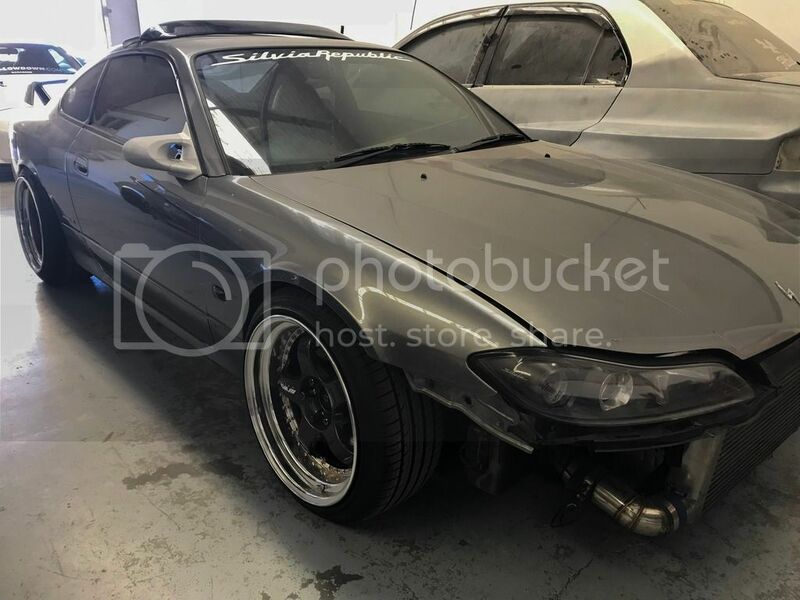 My goal for this car is to have a fun track car but also as much fun on the road. Ripping it through the national park or just cruising with mates. 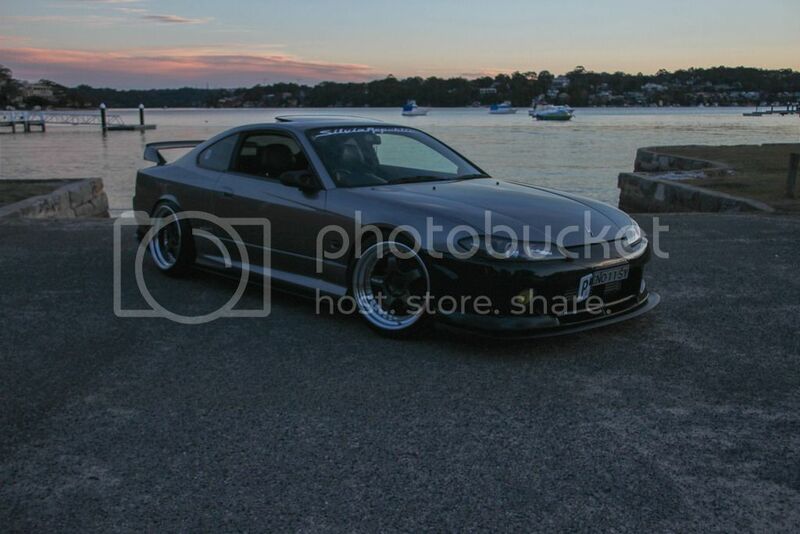 She started off like this, bronze rims and a vertex body kit. 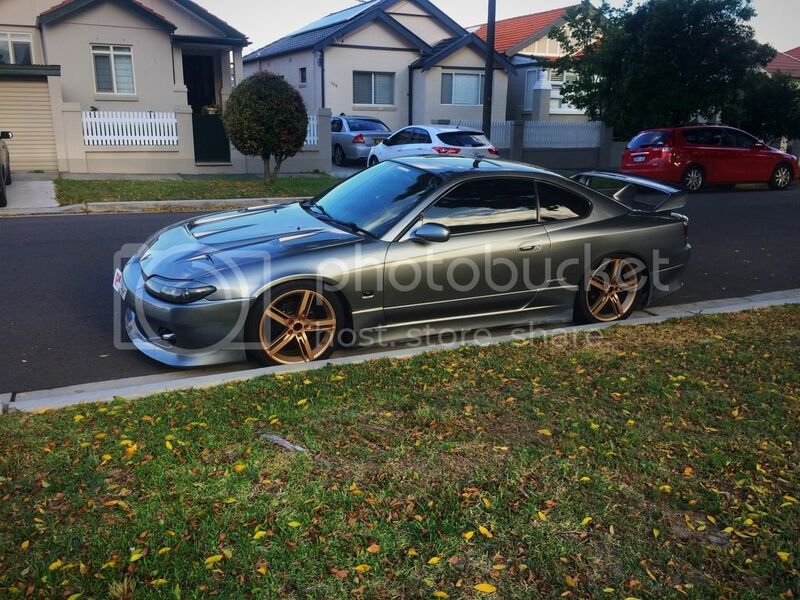 Wasn't a fan of the body kit but had to purchase it as it had low km and interior and engine bay was immaculate. Had the basic bolt on mods. 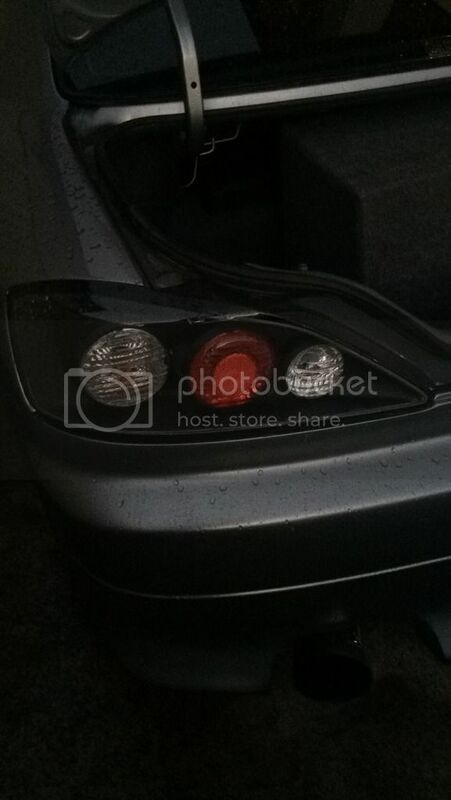 - Stock front bar with dc2 lip. 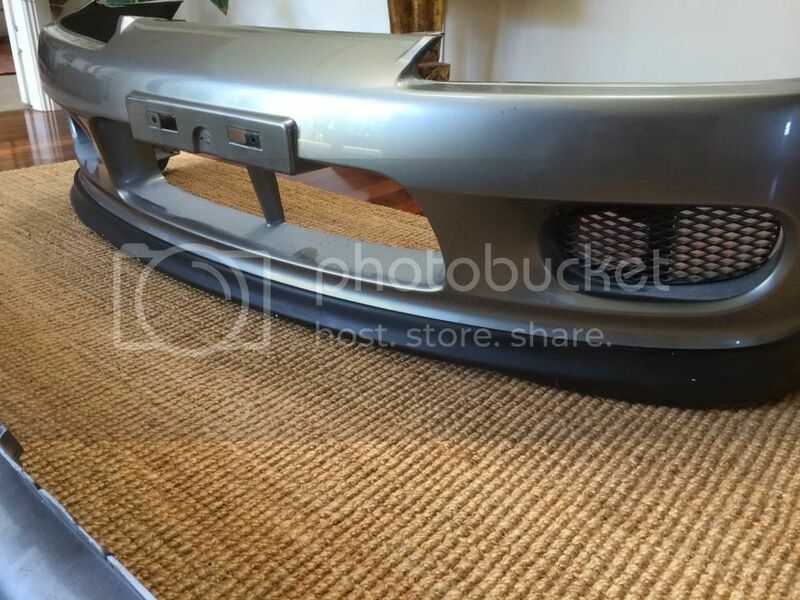 - genuine nissan fog lights. 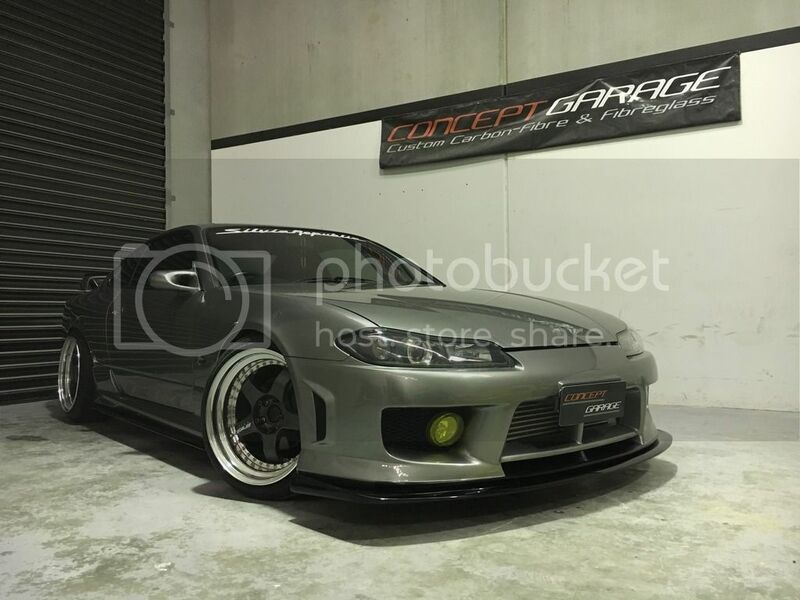 - extended lip on GT wing. - Defi 60mm racer gauge. 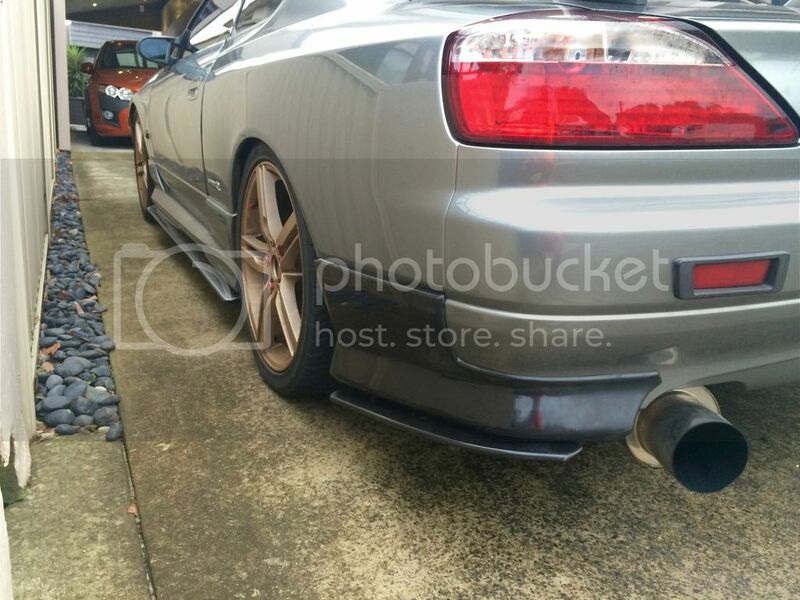 - currently custom mild steel exhaust system with a-spec blast pipes to finish it off. 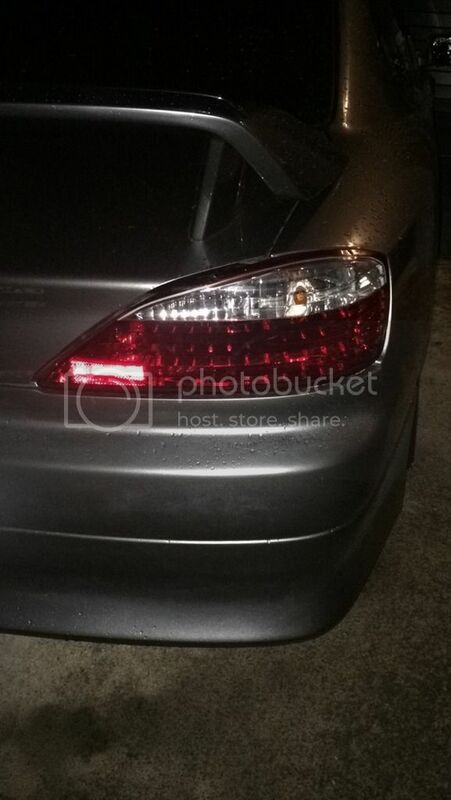 - turbo smart boost t.
I started with my magic and got rid of the hideous tail lights. I had to get rid of the body kit as I prefer stock/aero look. 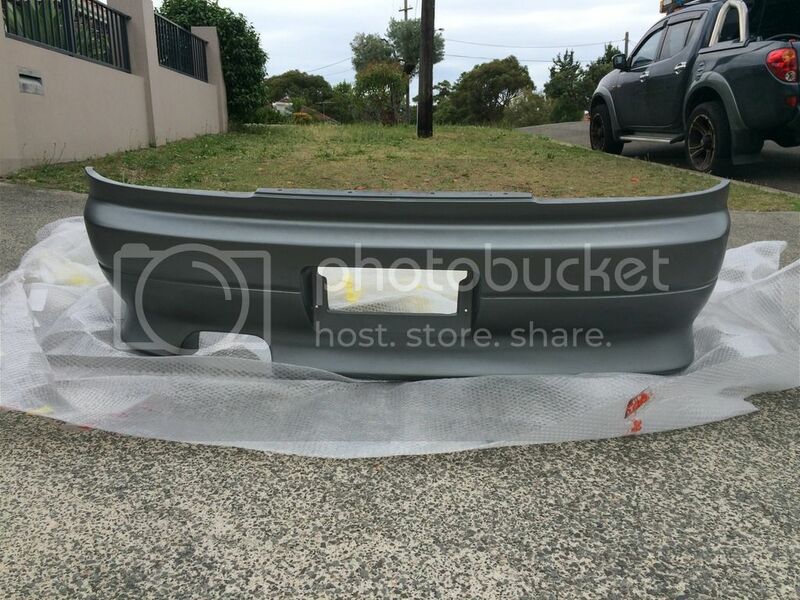 Browsing Gumtree on a regular basis and found a perfect bumper for my car. 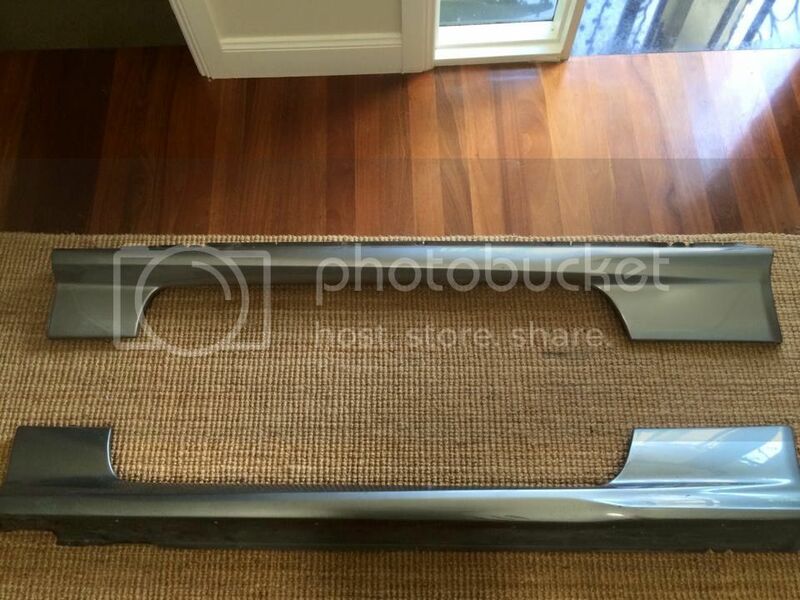 Also found stock bumper and side skirts. I plan to go aero bar but this will do for now, whilst i spend money on other things that need attention. 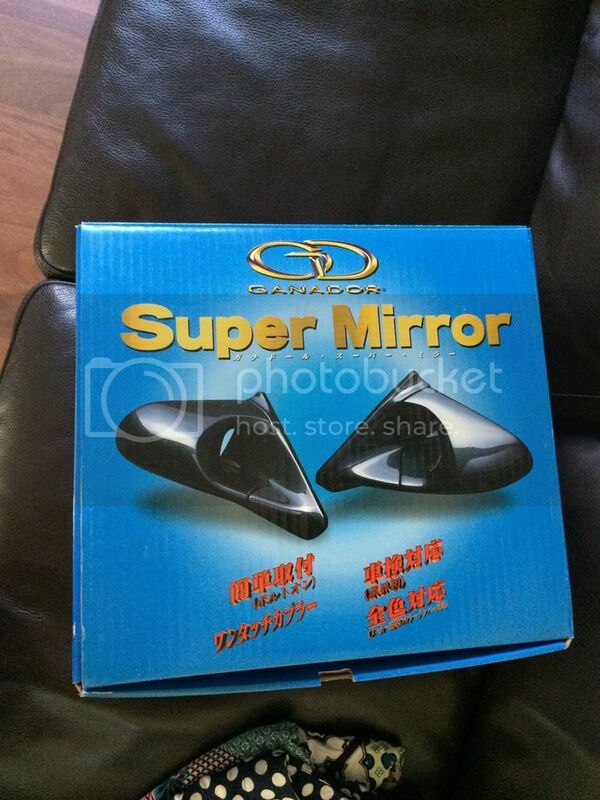 Another day browsing gumtree and i found this gem, genuine Ganador mirrors, which are hard to find, let alone brand new. Yes these set me back heaps but was totally worth every penny! 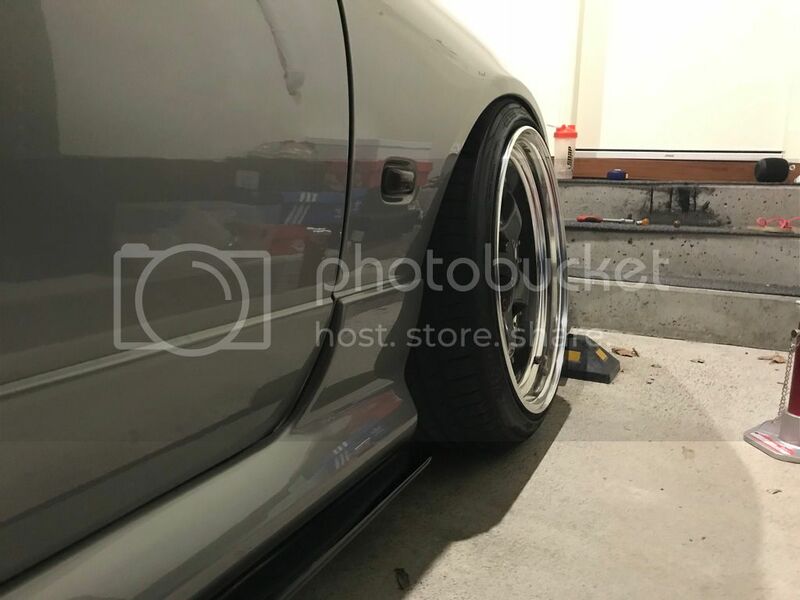 After acquiring the oem body kit, i decided to finally get some rear pods, rear pod extensions and side skirt extensions from JSAI. 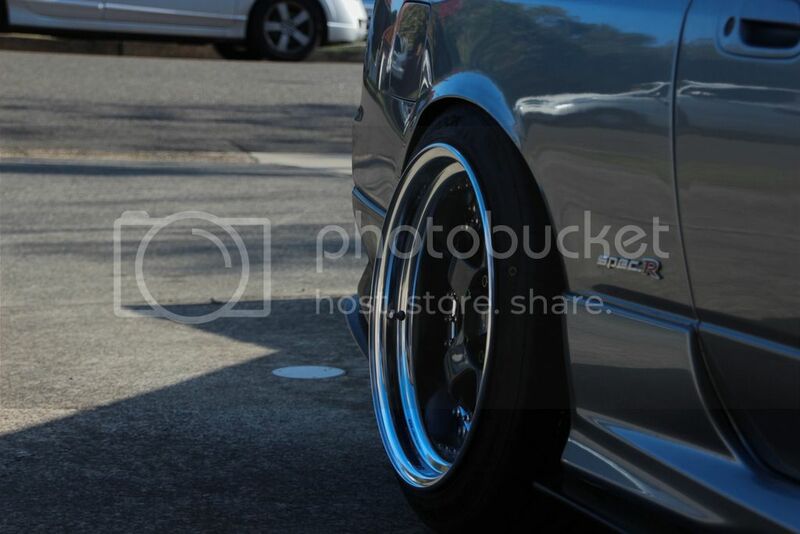 These helped make the car look fatter and started looking like the car i wanted it to be. 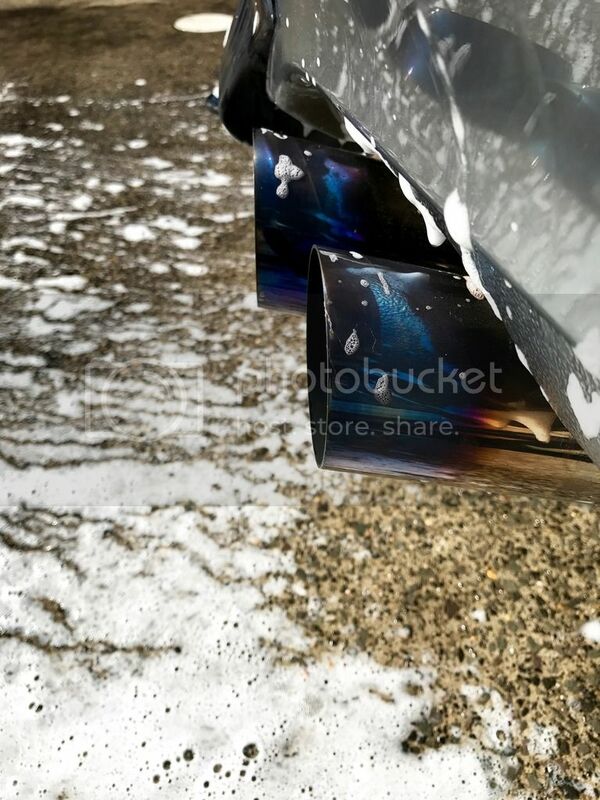 Yes i know my tail light had moisture in it. It has now been re-sealed and hasn't gotten any water inside since. 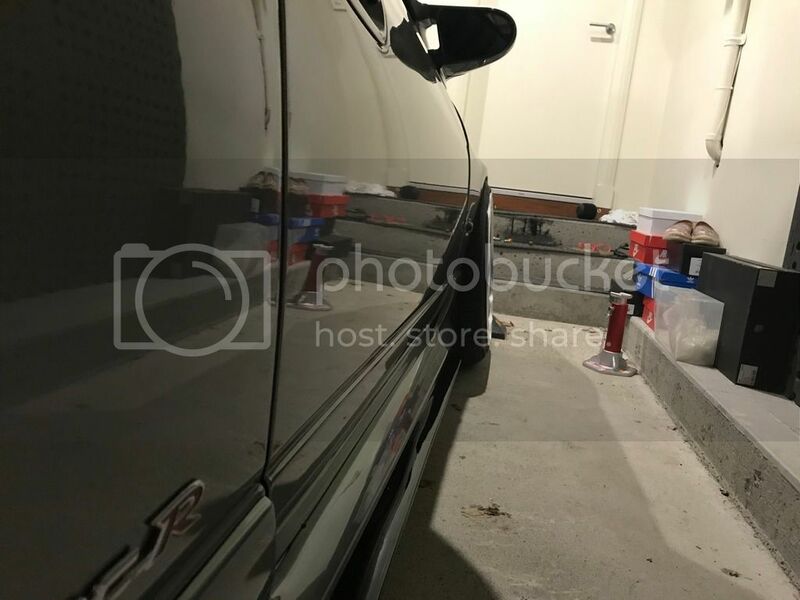 Everyones probably wondering, "all this body work, yet no rims?". 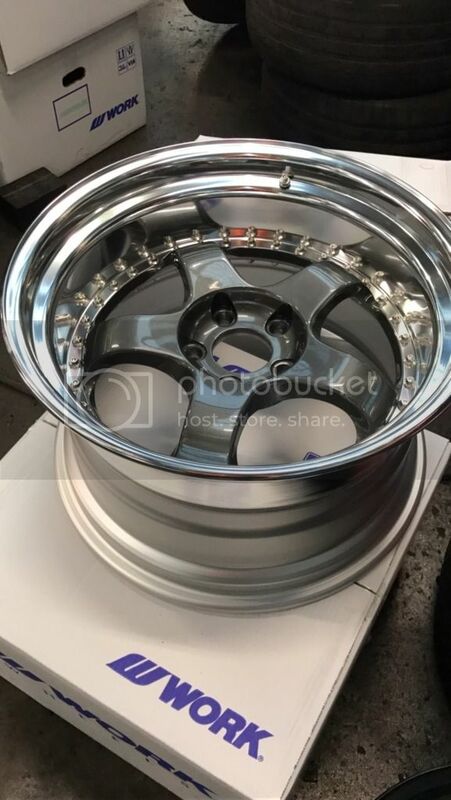 Well i had ordered a set of rims at the beginning of the year. It took them 4 months to arrive. Geez was it a killer but totally worth it. 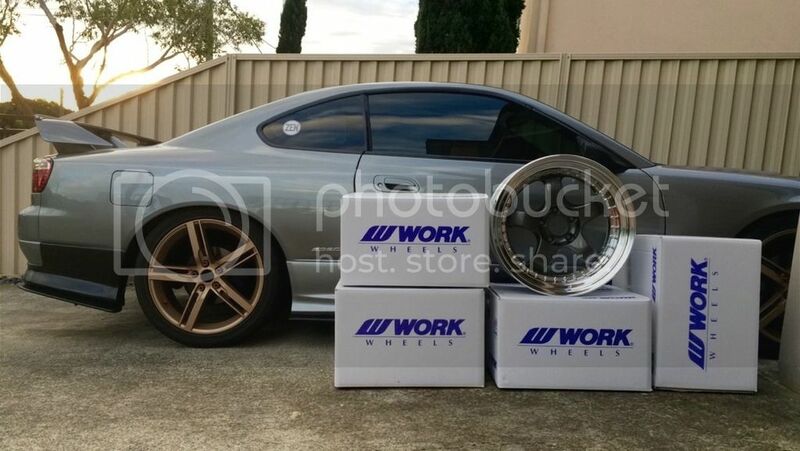 I had ordered Work Miesters, s1 3p. 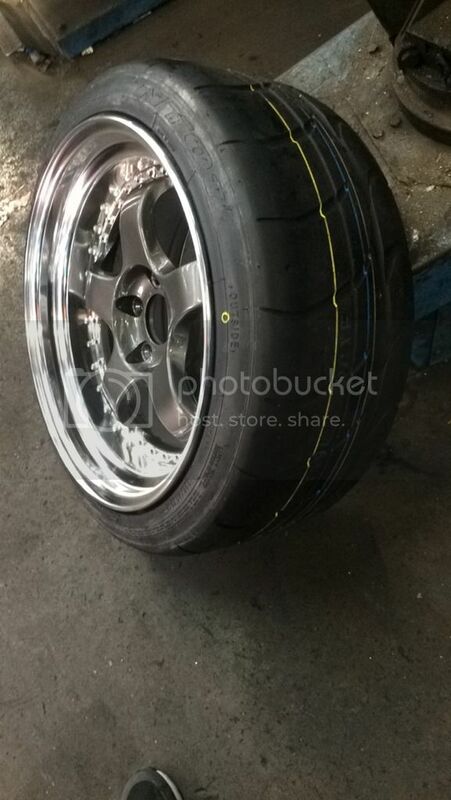 Had these bad boys wrapped in Nitto Nto1 semi slicks. Now i know these are road legal but tbh they aren't that bad in the rain and they've been on the car for 6 months. Daily driven and tread wear isn't too bad either. Very pleased with these tyres. The current stage. Almost a year later since owning it. 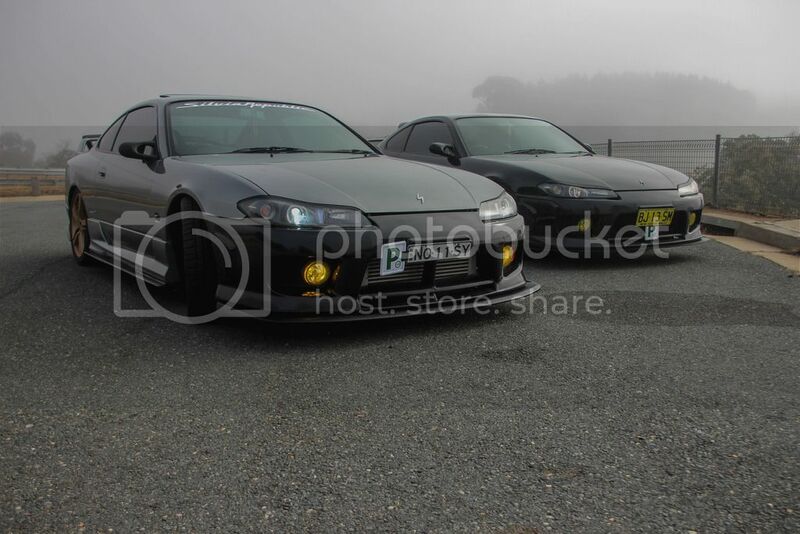 Still have to change my bonnet to a stock one. 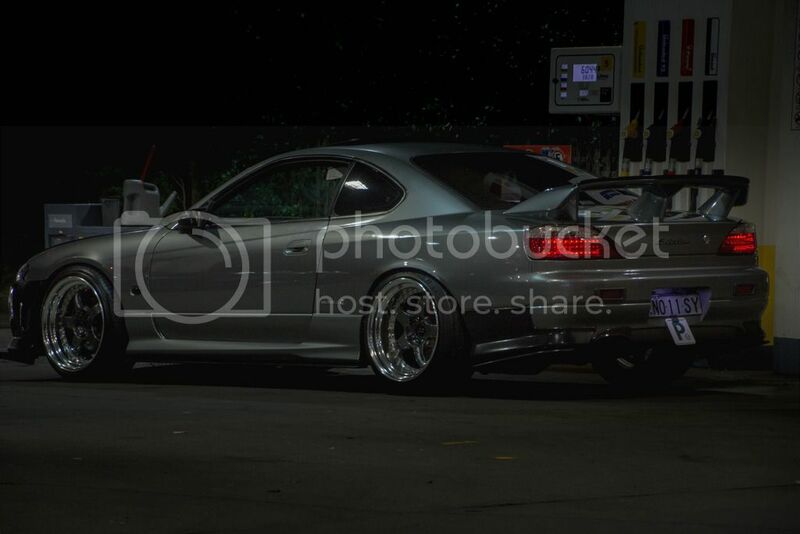 Also have plans to go order new rims in the new year and go wider and lower offset. 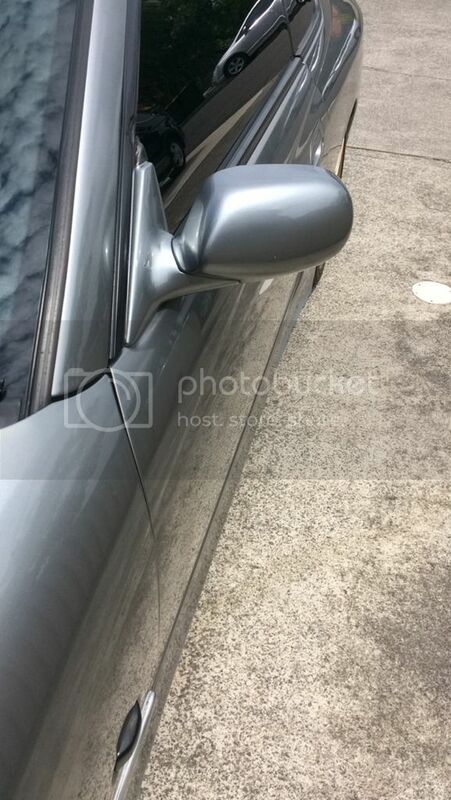 Car will also be going off in the new year to get a full respray and fix any little imperfections. I have big plans for engine wise. Originally i was going to aim for somewhat low power but i thought about it and realised ill just want more. 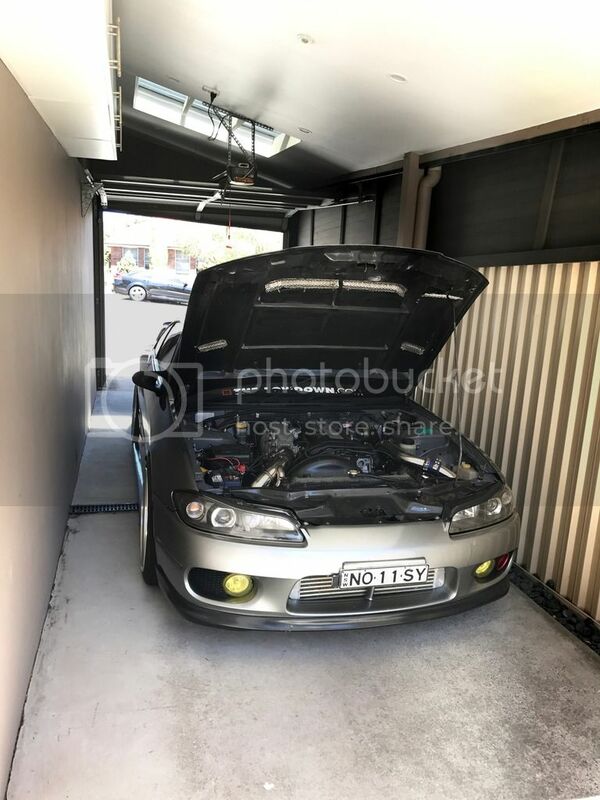 So I'm currently collecting parts to build my engine and aim for the [email protected] on 98... On stock bottom end its a bit crazy but we will see how i go. I do have plans for gear box, suspension work and new diff. 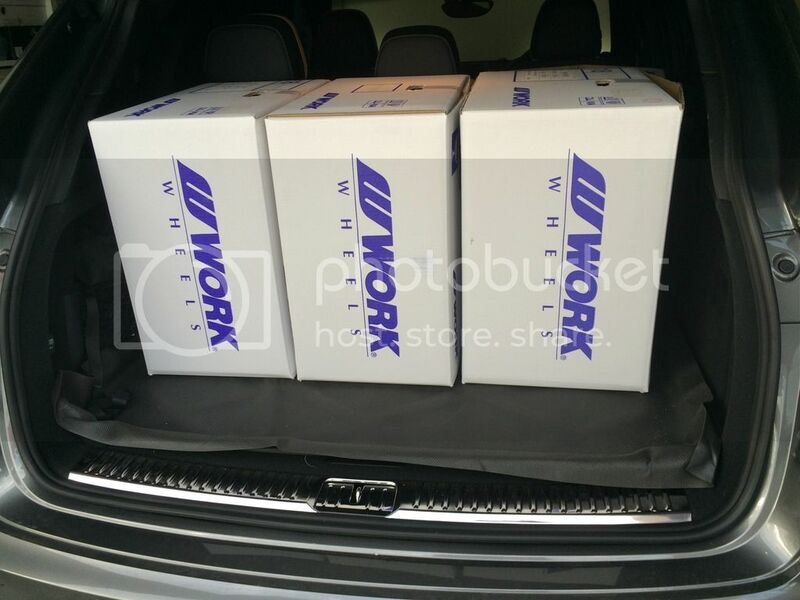 Suspension parts should be getting collected this week. 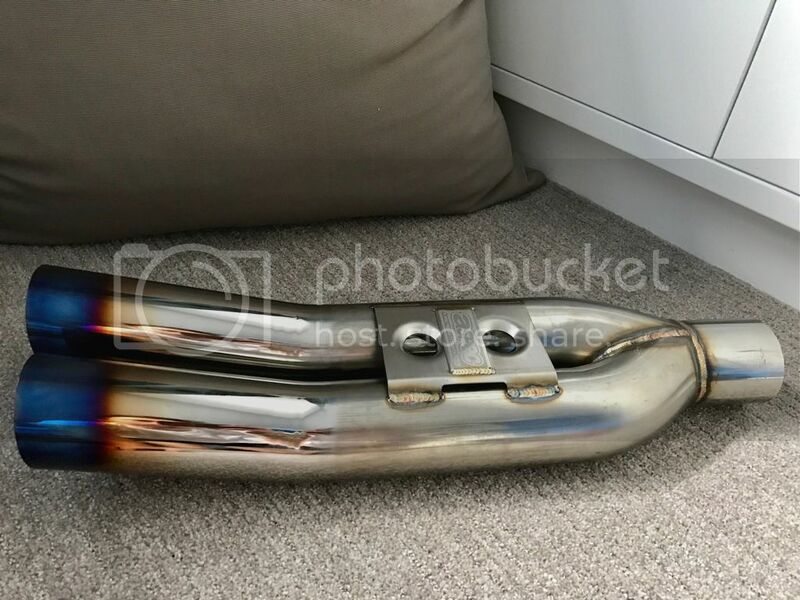 Damn these blast pipes are a piece of art. Wanted to mount them to my wall LOL. Last edited by James12; 11-04-18 at 04:22 PM. I gotta admit when I opened this thread and saw the first picture I thought "Oh geez another one of these fellas". I always sympathise though because my car on my red Ps was pretty ghastly. But by the last post it's pretty tidy! Wish I had your budget! Ahaha dont really have a budget man, its a very slow build process. 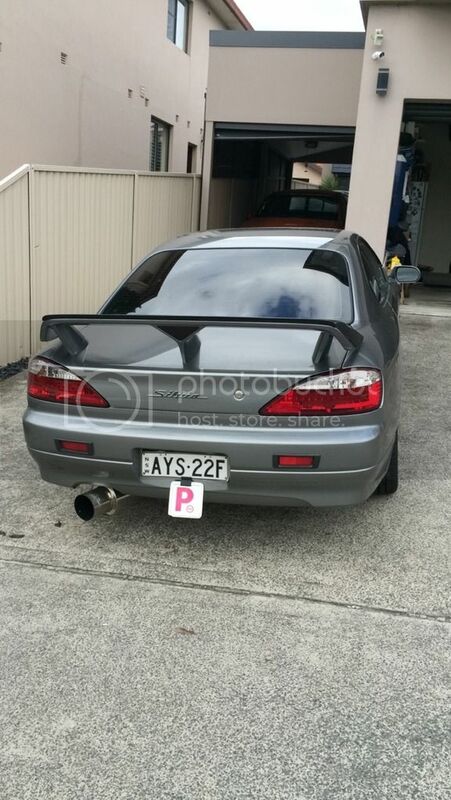 Dont worry not like the other p-platers, trying to build it right and how i want it to be. A year had gone by with owning the car and its been amazing, hasn't skipped a beat... until a couple weeks ago. I was out driving when i lost power steering, unfortunately. It was kind of cool in a sense as it was driving like an old school car but boy was that an arm workout. Nonetheless, the next day i set out to my local auto parts store and picked up a new power steering belt. Also decided to do my accessory and alternator belt. Might as well since i was there replacing one, do all, save me the hassle later on. Been a while since I posted. A few changes have happened since. 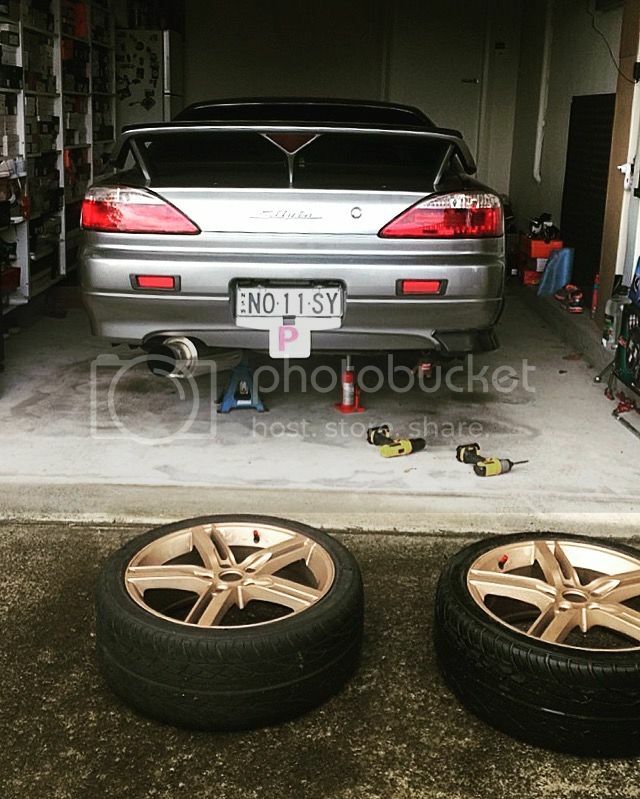 I have now gone wider rims on the car, previously had 18x9 and 18x10, increased the size to 18x9.5 and 18x10.5. These required some guard work so off to Canberra I went with two mates to get our guards flared. 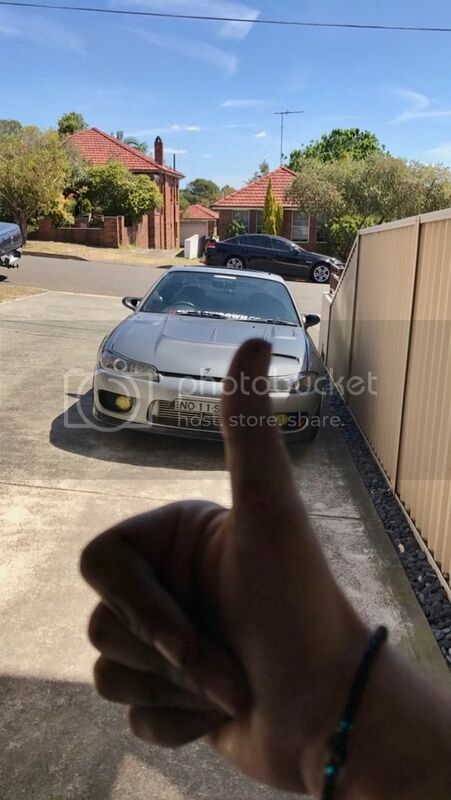 Went to Canberra since no one was willing to flare guards in Sydney just in case it cracked the paint, even though we stated if it did, we didn't care. Was well worth the trip tho! Took a quick snap on our way to Canberra. 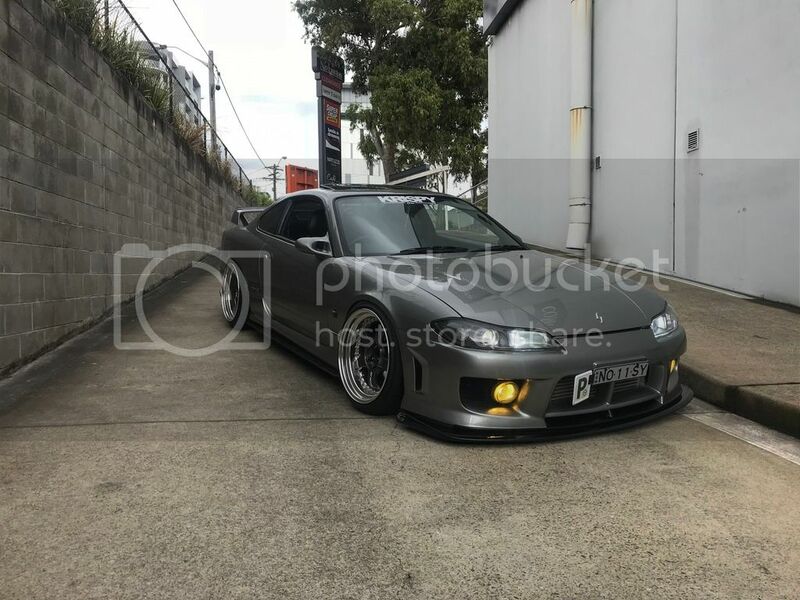 Over the moon how the rims are sitting on the car, still need to order coilovers and adjust the height a bit, also play around with the camber. For now, she'll do! One of the final pieces to the puzzle for the outside, that I purchased was a genuine aero bar. Need's some love but I got it for a price i could't resist. Slapped my 1 of 2 custom front lips on as well to add to the aggressive style the aero bar already has. 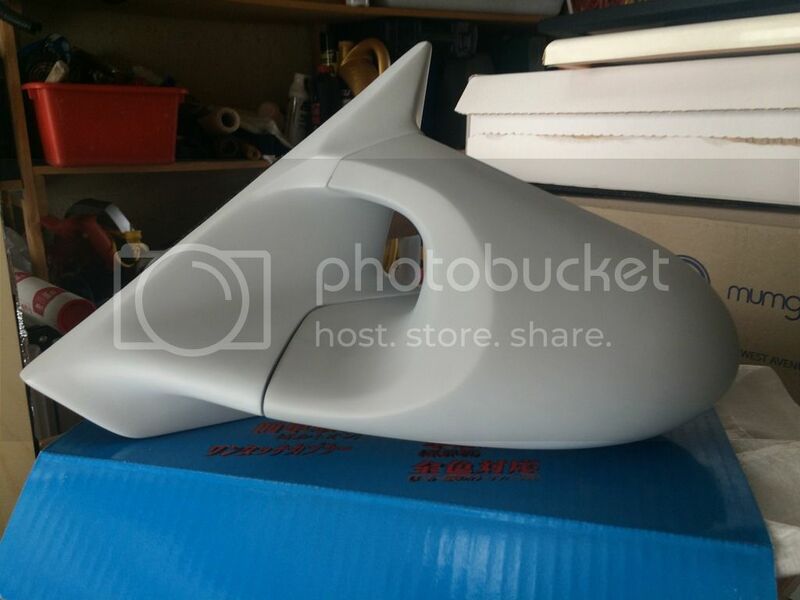 Also acquired a stock bonnet which has been bent and isn't sitting properly... rip. Recently bought a nardi wheel and an eboost2, gktech v3 rear suspension arms. They were a spare of the moment purchase at awesome prices, so I had to do it. Soz not soz mum! 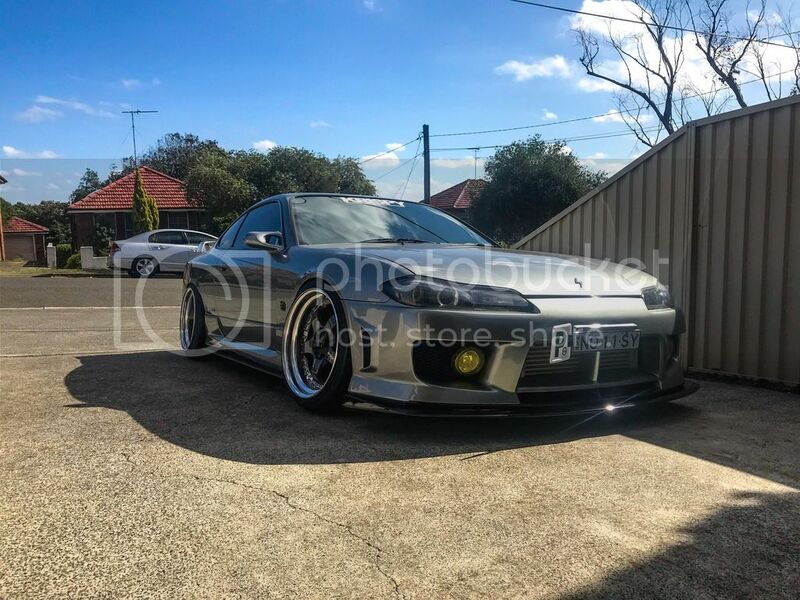 Car should be going off to get resprayed in the coming weeks, whilst also fixing the bonnet, aero bar and shaving the rear reflectors for that more JDM goodness look. 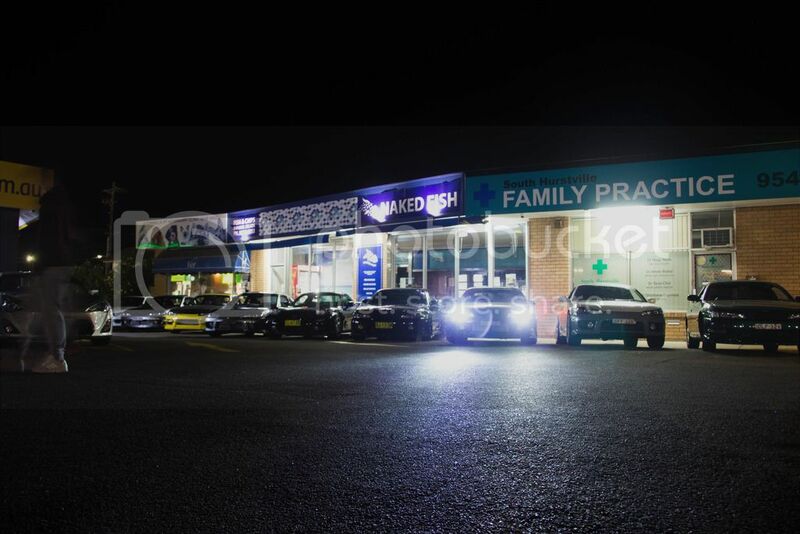 Before that, couldn't help but take a few shots of my car with the new rims, also held a little "meet", if you can even call it that with some close mates. Been a while... again. Since I last updated, lots has changed. 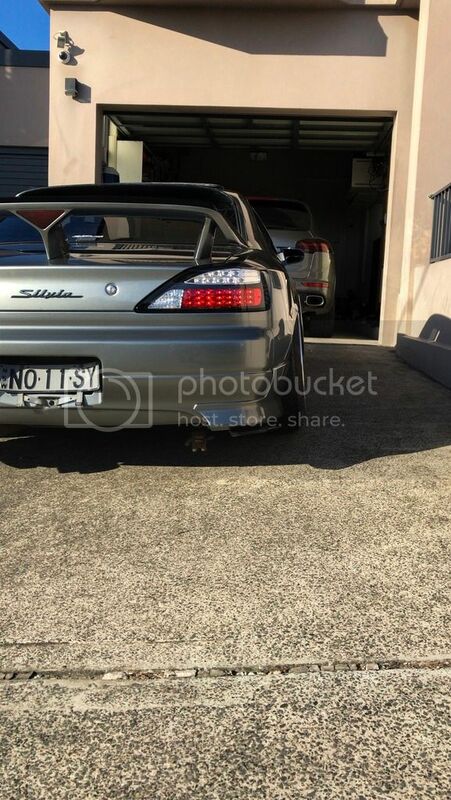 Car has had full respray, got new tail lights, MCA X-r coilovers and an origin labo roof wing. 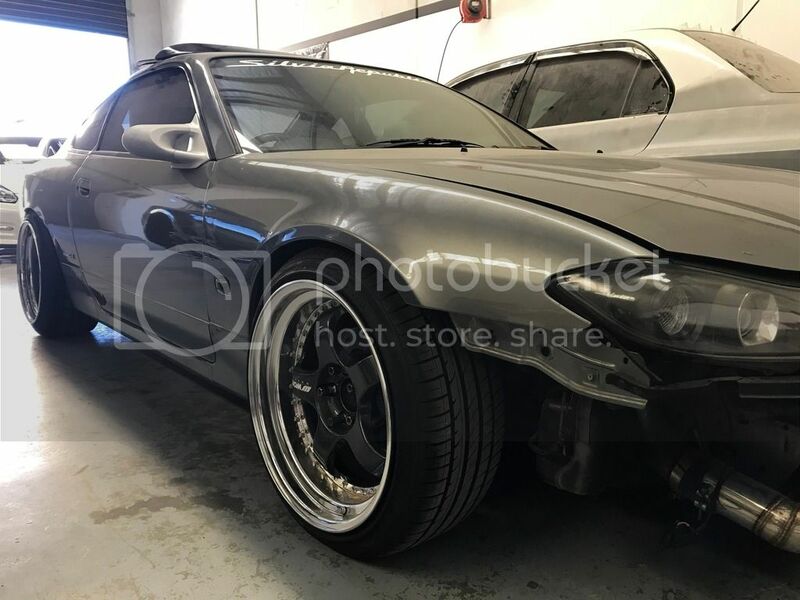 Body work was conducted by the legend Danny from Concept Garage and also resprayed by the king Bass from 2sus customs respray. Without their help, the car woudn't be where it is today. 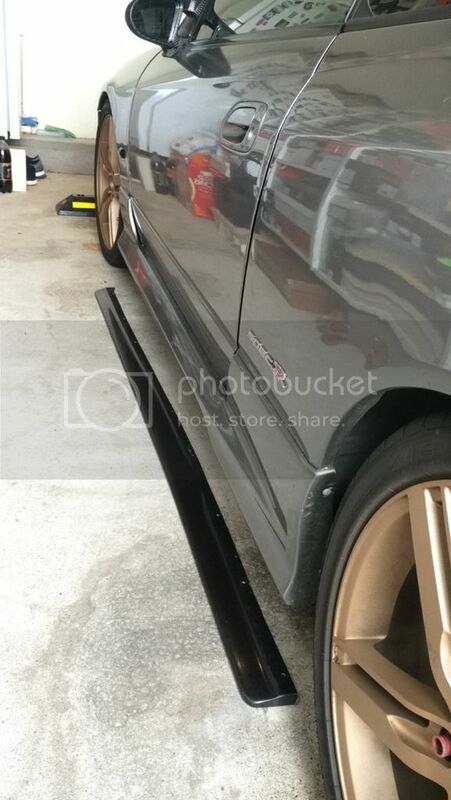 Front guards were widened so i could go lower, rear guards were widened even more. 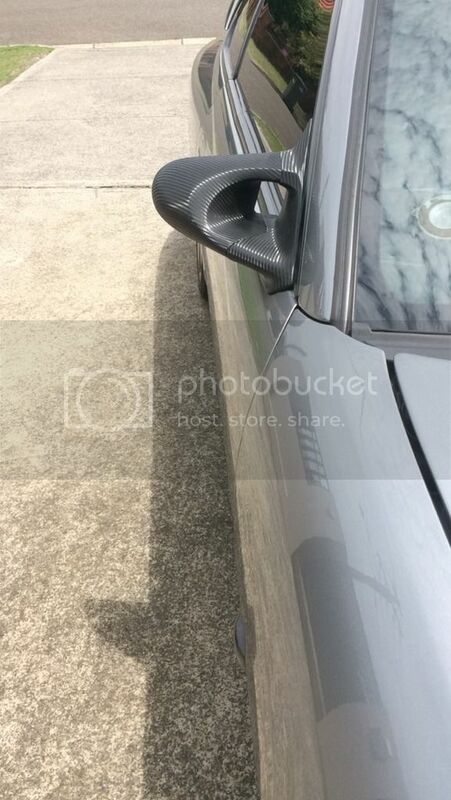 Rear spoiler lip was moulded nicely as well as other little bits and pieces done to complete the overall look. 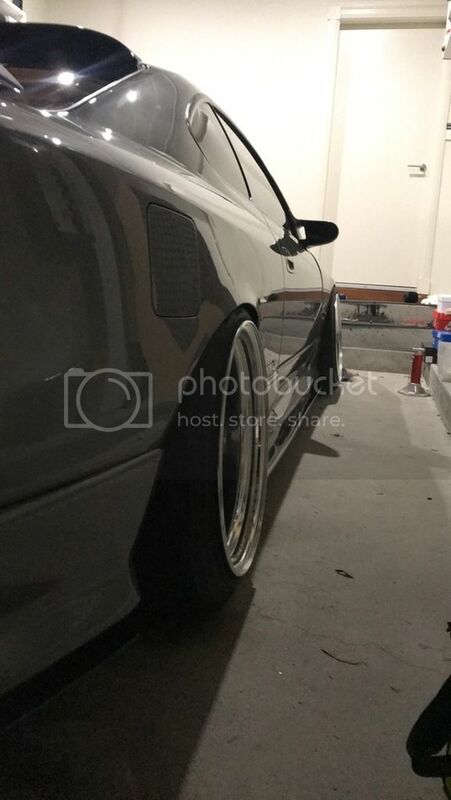 Once i got it back, i started to install the coilovers (didnt get any photos ). 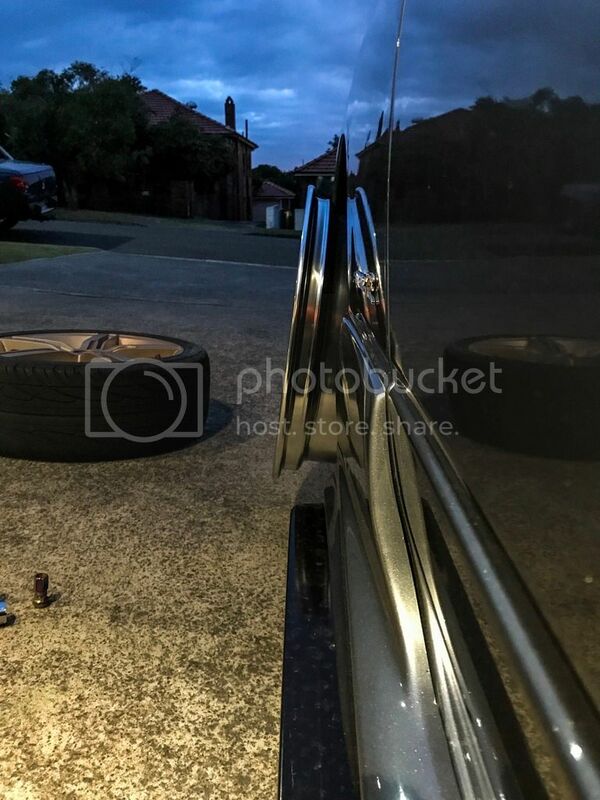 We installed them with a few mates lowered it. front wasnt low enough but would do for now. rear was a little too low and constantly scrubbed. 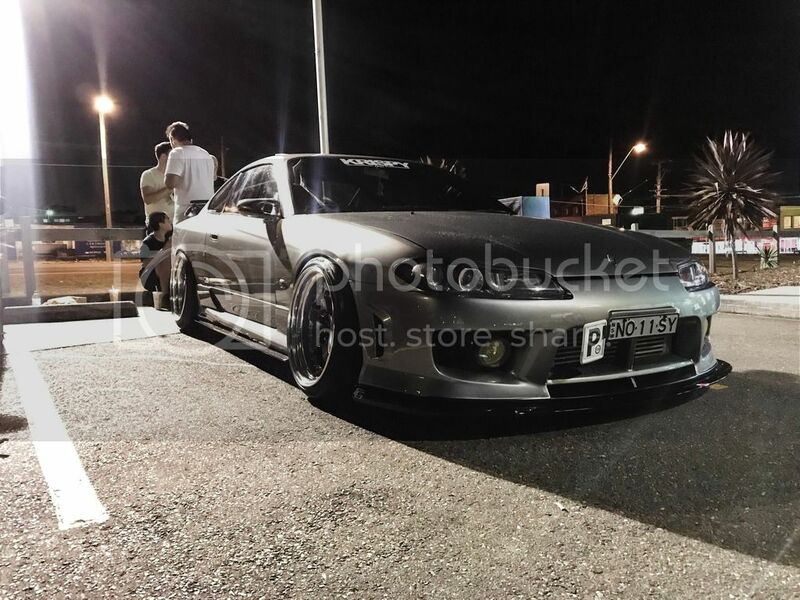 We also installed the roof wing, threw on spacers at the front and maxed the camber on stock arms. couple weeks later we raised the rear couple mm. Then proceeded to lower the front. 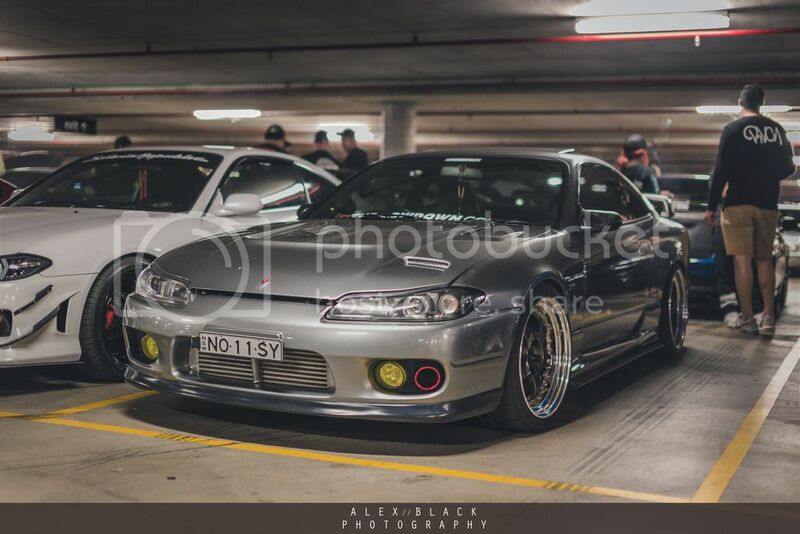 Safe to say, she is sitting pretty mean how she is. Have to throw up a few photos i have taken. 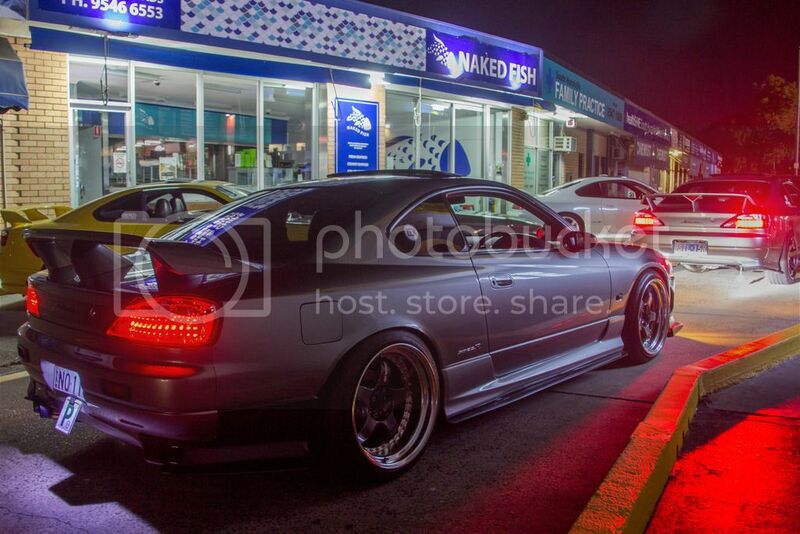 Love the look with the new tail lights. Still has a lot more to go and hopefully this year tackle the engine. For now it will do. Will take it out for proper photos with my big camera one evening.